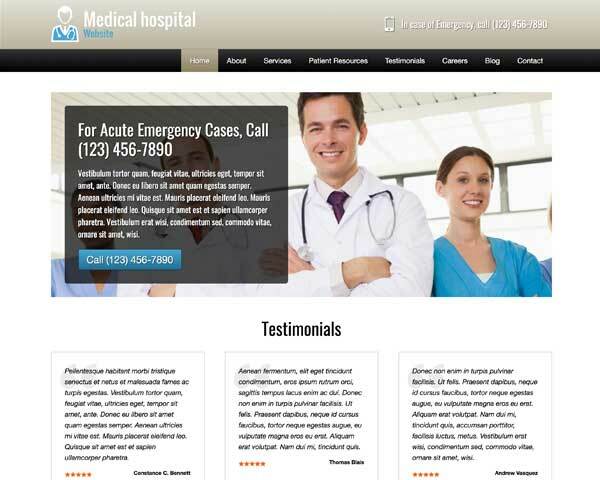 What can the Dentist WordPress Theme do for your dental office? 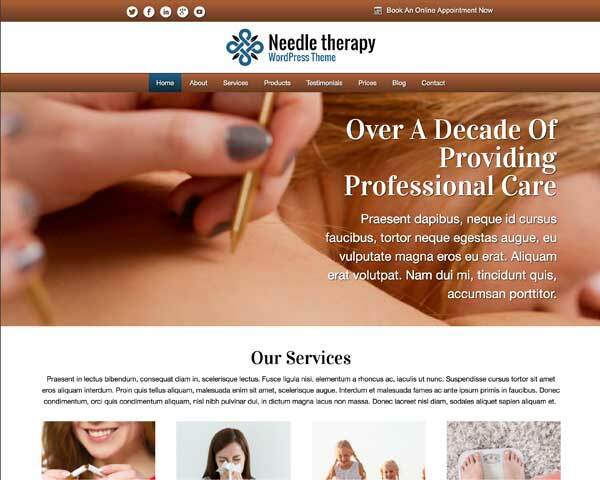 Try the Dentist WordPress Theme for yourself and see how easy it is to quickly create a professional website for your dental clinic. 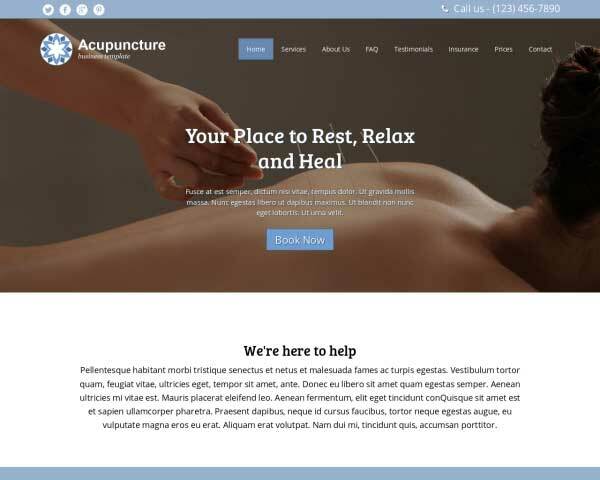 Simple to customize, update and maintain, this pre-built template lets you keep the focus on your patients while your website attracts new patients online. The Dentist WordPress theme is designed to make it simple and even fun to build a professional website for your dental office. Everything is set up for you to offer visitors information about the treatments you offer in a neat, organized layout. 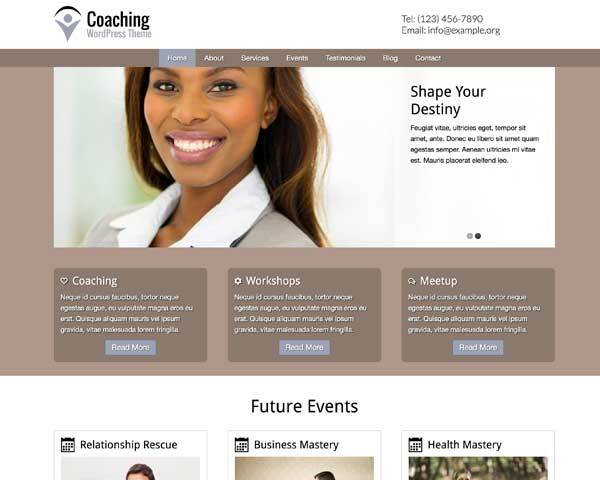 The homepage includes a classic image slider for impact, and an overview of your services offers quick navigation. Visitors won't have to search for a way to contact you with your details displayed on every page and call-to-action buttons that mobile visitors can simply tap to get in touch. 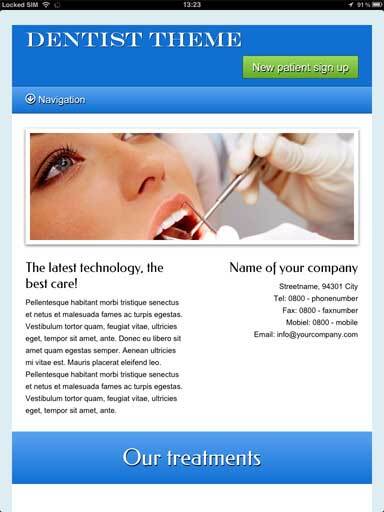 The contact page on the WP theme for dentists includes an integrated Google map and a new patient sign-up form that can be easily customized to suit your needs. Change the color scheme on your website without any coding at all using our visual front-end editor. Even adding content and adjusting page layout is easy with drag and drop widgets. 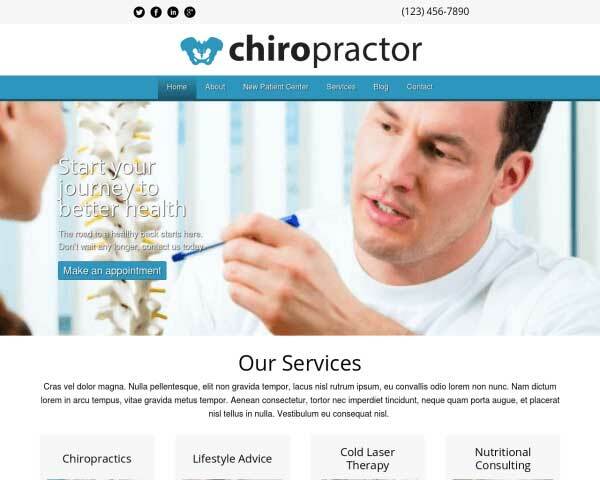 Building a comprehensive new website for your practice doesn't have to complicated or expensive. 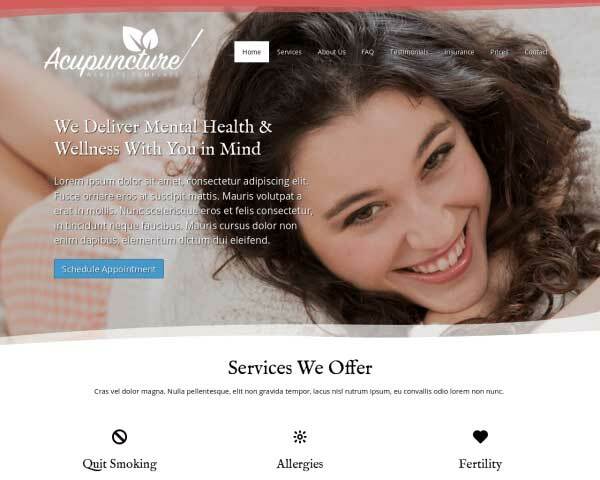 With the Dentist WordPress theme's clean design, premium features and built-in SEO manager, this pre-built website template is a powerful yet affordable tool to help you attract new patients online and grow your practice. 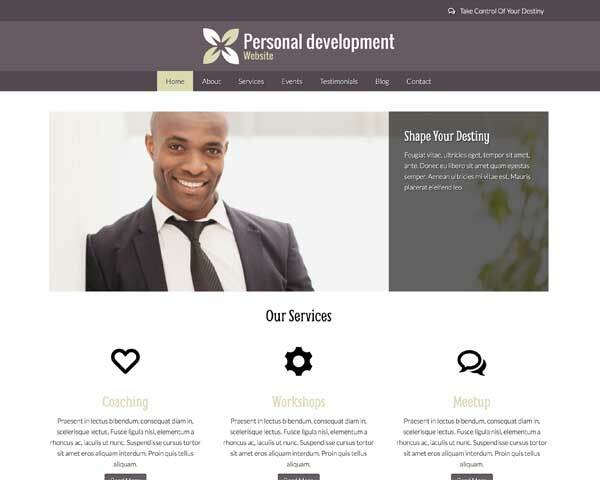 Opposed to the average WordPress theme you can find on the internet, this Dentist WordPress Theme was designed specifically to create a professional online presence for dentists. Add an exciting, dynamic element to your homepage with the Dentist WordPress Theme's built-in image slider. Add more slides, text or links as needed. 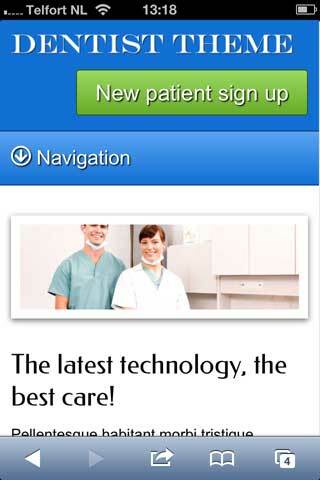 Add an image gallery to any page or post on this responsive WordPress theme for dentists. Clicking on any thumbnail opens the image in an elegant lightbox slideshow. 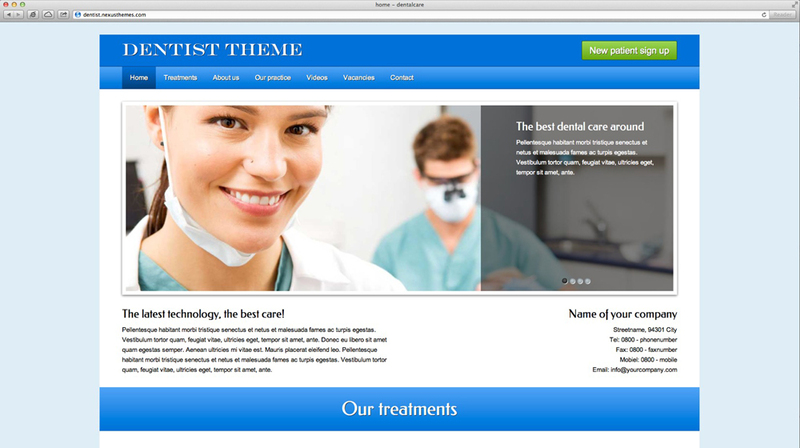 The Dentist WordPress Theme offers a birds eye view of your services via the strategically placed service overview, which appears on the homepage. The Dentist WordPress Theme comes packaged with sharing and following icons for popular social media platforms, and widgets that display a Facebook or Twitter feed. 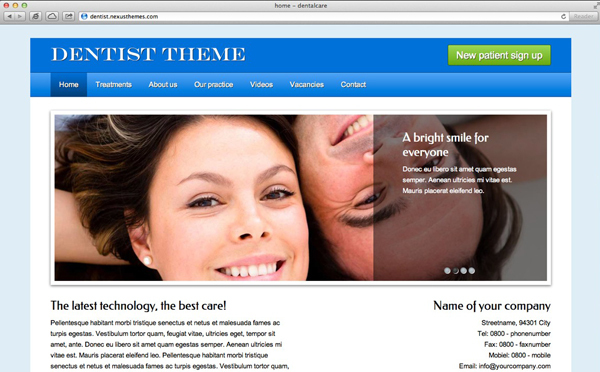 The Dentist WordPress Theme's About Us is set up for you to describe your company profile and approach. Introduce each member of your team with a photo and a short bio. Including videos on your website is an exciting way to share information with your audience. Use the YouTube and Vimeo widgets to display a video or create a video gallery on any page. As a dental professional these days, patients not only expect you to have a website online, they want your online presence to reassure them of the level of service and professionalism to expect at your dental practice. 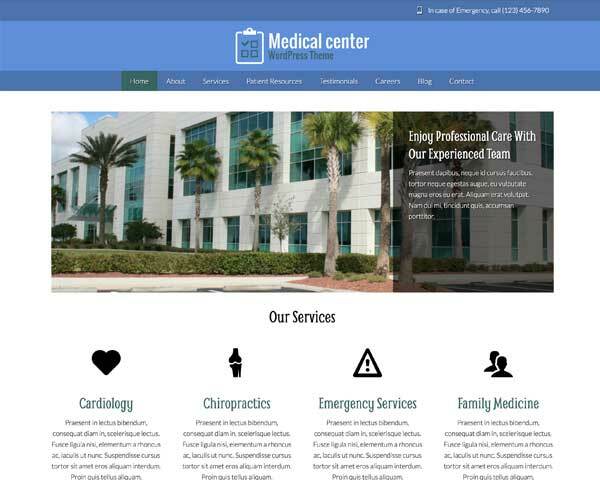 When you build your new website with the responsive Dentist WordPress theme, visitors who view your website on smartphones and tablets will experience the same professional design and functionality of the desktop version. No additional coding or plug-ins are required! Best of all, mobile visitors can just tap your phone number to dial or tap your email to open a draft, making it even easier to get in touch.